Peramivir (trade name Rapivab) is an antiviral drug developed by BioCryst Pharmaceuticals for the treatment of influenza. 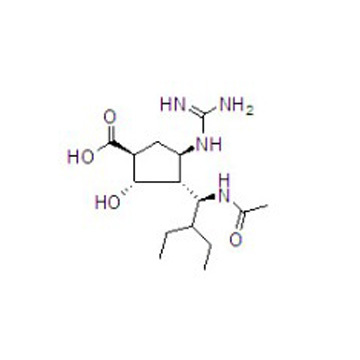 Peramivir is a neuraminidase inhibitor, acting as a transition-state analogue inhibitor of influenza neuraminidase and thereby preventing new viruses from emerging from infected cells. It is approved for intravenous administration.